Brenda Magdaleno submitted this photo and caption. 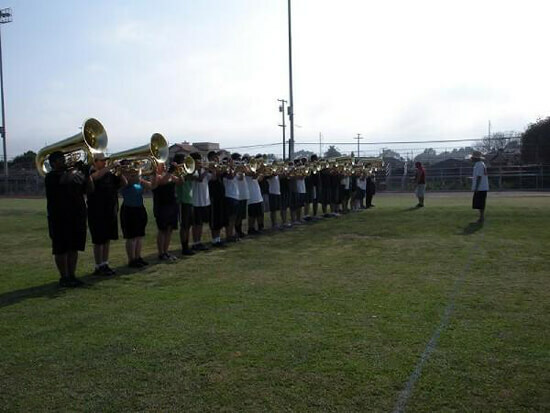 This photo is of the 2009 Gold Drum & Bugle Corps horn line. It was our first outdoor rehearsal camp of the season, so there was plenty of energy and excitement among the corps members. This past summer was one of my greatest because I was able to participate in such an awesome sport (yes, i said it! ), and this photo will forever be a reminder of the beginning of the awesome season we had.